South Downs Secure has developed a highly respected portfolio of trusted affiliates within the automotive industry, ensuring our clients remain in safe hands. South Downs Secure is recommended by the most respected purveyors of classic and supercars alike. Specialist in the international sale of all motorcars including being the appointed main dealer for Koenigsegg and BAC Mono. With each member of the SuperVettura Sunningdale team offering a different skill set the team is small but made up sufficiently to accommodate pretty much any sales or service need on an international scale. 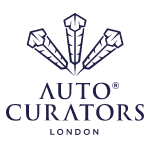 Auto Curators was founded by Paul Townsend in early 2015. Formerly of Shine On Auto Detailing, Paul spent nearly 10 years building his first venture from the ground up, within a fledgling industry. As the business blossomed, his reputation for quality spread, and he gained extensive technical and business expertise of the detailing industry. In early 2015, the business was ready to expand and Auto Curators Ltd was born. Open to all who share an indefinable passion for the Lamborghini marque with its rich history, regardless of ownership and age, who wish to socialise becoming embroiled in Lamborghini life. The Club arranges a vast variety of events both in the United Kingdom and in Europe linking with the other European clubs. Apart from the static show displays, there are driving events, track days and social events that include a lunch or dinner. European events include road trips to Sant’Agata, home of Automobili Lamborghini where tours of the factory and its museum will be made.The Club provides numerous benefits of discounts of other offers on a range of products and services, from specialist insurance, secure storage, Pirelli tyres to car covers and servicing. 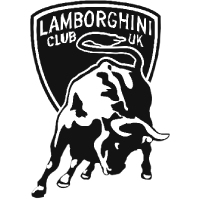 The Club is supported and officially recognise by Automobili Lamborghini S.p.A as the sole marque club for the United Kingdom. Our experienced technicians service hundreds of classic Ferrari's in our dedicated workshops, ranging from minor mechanical repair work to major overhauls. GTO Engineering’s decades of experience with classic Ferrari has given us a rare ability to scrutinize every detail, some that the less-experienced might overlook, to ensure each car leaves having received the highest level of workmanship. We have vast experience in restoring classic Ferrari. 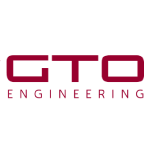 Our dedicated team, workshop facilities and access to even the rarest parts mean we can often turn around the most complex restoration projects in a timely manner while still retaining the hallmark of quality for which GTO Engineering’s work is world-renowned. Private Motor Club, the most exclusive automotive journal in the world. Published twice a year with just 1000 copies printed. We cover all aspects of automotive culture from intimate classic Italian hillclimbs to the latest hypercar. Printed on high quality papers and 200 pages makes it worthy of any coffee table. 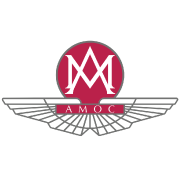 The Aston Martin Owners Club is the largest and only official worldwide club for everyone interested in the iconic marque. The Club's guiding principles are to create an interest in Aston Martin, celebrate the pastime of motoring and motorsport and encourage Members to share their passion for Aston Martin. Membership is open to Aston Martin enthusiasts as well as owners. Join today to become part of the award-winning Club, the Aston Martin family and its history. With over 45 years of experience in the motor industry, every single car we buy has to meet our exacting requirements in terms of provenance, history and quality. And, whilst we are fanatical about detail, we also ensure that each of our cars has something special about it. 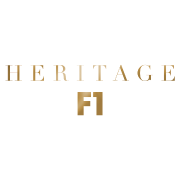 Heritage F1 is Europe’s largest supplier of F1 Cars to the private market. Heritage F1 have purchased, brokered and sold F1 cars for almost thirty years. 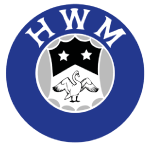 Since 1938, HWM have maintained an enthusiasm for cars that look beautiful and offer a premium driving experience. We built our knowledge on the race track. Our small family-team of enthusiasts began a business purely with the intention of constructing HWM race cars and going racing. Several Grand Prix’s and 20 international races later, we had become the most significant British race team after WW11. Today, the same spirit remains in the business , operating as the world’s oldest distributors of Aston Martin. Still family owned, we strive to provide a personal service befitting of the stunning sports cars that we sell and maintain. 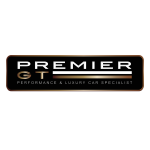 Our expert team of manufacturer-trained technicians are always on hand to look after your current car. If you need an MOT, repair, service or simply a clean then our team has you covered. Our specialists are also able to value your current car. 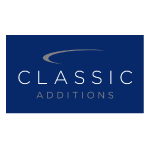 Classic Additions was formed 29 years ago by Adrian Boyes, who when he inherited his grandfather’s TR5, found the need to develop a suitable car cover that would breathe and protect the car. Since then Classic Additions now produce an entire range of breathable indoor and outdoor car covers for all situations. There’s a simple reason why CTEK is a world-leading manufacturer: quality is at the heart of everything we do. Our products are the result of continuous extensive investment in quality, safety and performance at our state of the art facility in Dalarna, Sweden. 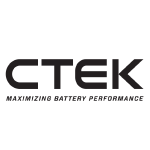 CTEK products meet all the necessary legal and operational requirements and are independently validated and verified by the world’s most renowned testing institutes. 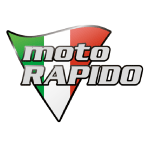 Moto Rapido Ducati was formed in 2002 by two Ducati enthusiasts, then we were just a small independent shop servicing, selling, tuning and racing Ducati.